Use Various Textures – While smooth tile may be ideal for the walls and seats of a shower, textured tiles are needed on the floor for the sake of safety. Stay Small When Curves are Involved – Edges are always problematic for a tile surface, and curves just exacerbate the situation. Smaller tiles allow for greater control when cutting and installing, and they should always be considered for any curved tile installation. Consider Maintenance – Larger tiles are easier to clean and maintain. In addition, they are more hygienic by creating less space for mold and mildew to accumulate. 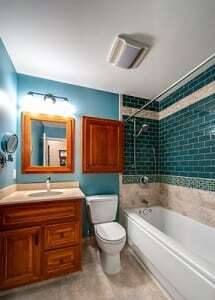 For more information on selecting bathroom tile, please contact us at Conestoga Tile. We can be found online or reached directly at 717-564-6860. You can also visit one of our showrooms in Baltimore, MD; Sterling, VA; or Harrisburg, PA.